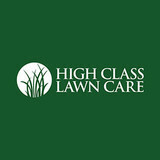 A Cut Above Excellence is a full service lawn maintenance, sod renovation, landscape, and irrigation company. We also perform minor tree trimming, landscape design, yard cleanup, and pressure washing. We service most of west Orlando, primarily the greater Clermont area. 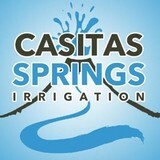 Casitas Springs is a full service sprinkler, drainage and pressure washing company. We are a 5 star company with Google, Home Advisor and Thumbtack. 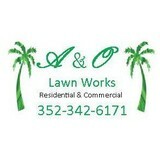 Commercial and Residential Lawn Maintenance and Landscape Service. Located in Historic Dunnellon, Florida, Just for Cuts provides lawn care & maintenance services to residential and commercial properties in SW Marion, Levy and Citrus Counties. This includes Rainbow Acres, Rainbow Lakes Estates, Country Club Estates, The Woodlands, Morriston, Inglis, Crystal River, Beverly Hills, Black Diamond, Citrus Springs, Citrus Hills, Pine Ridge, Hernando, Marion Oaks and Oak Run subdivisions. We Deliver Great Looking Lawns At An Affordable Price Residential and Commercial Service Our Lawn Care Services Include: Lawn Mowing Service – with beautiful cut lawns Edging and Trimming – to give that manicured look Aeration to let your lawn breathe and thrive Mulching with weed removal and mulch. Southern Sun Landscape Contractors, Inc. has been in business since 1986. Our professional staff is dedicated to providing the highest quality of work at competitive prices. We are licensed, bonded and guarantee all of our work. Our business is our livelihood but it is also so much more. Father & Son Landscaping, LLC was started to fill in a void in the current market and to make a business that people can place their trust in. Over the years we have never lost our commitment to our clients and that is what has allowed us to succeed in a very competitive industry. The employees of Father & Son Landscaping, LLC stand committed to our purpose and will provide the best service! Cassie’s Meticulous Touch is professional cleaning company covering Ocala FL, Gainesville, The Villages FL, Orlando FL & the surrounding areas. Cassie’s Meticulous Touch Cleaning Services has been trusted to clean office and commercial premises, large and small, since 2000. 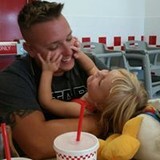 We offer Office Cleaning Services, House Cleaning Services, One Time Move outs, Party or Special Event Cleaning Services, Commercial Lawn Care Services, Residential Lawn Care Services, Window Cleaning Services, Carpet Cleaning Services, Waxing and Floor Stripping Services, Pressure Cleaning Services and much more! In addition to the maintenance side of gardening, Citrus Hills, FL gardeners can help you with garden design and choosing specific plants and grass types for your climate and area. Find a Citrus Hills, FL gardener on Houzz. 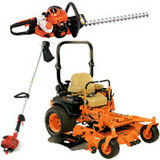 Narrow your search in the Professionals section of the website to Citrus Hills, FL gardeners. You can also look through Citrus Hills, FL photos to find examples of yards that you like, then contact the Florida contractor who worked on them.